Massimiliano Damerini: born in Genova (Italy), he studied with Alfredo They and Martha Del Vecchio graduating in piano and composition with First Class Honours. He played in some of the most famous concert halls throughout the world, including Konzerthaus in Vienna, Teatro Alla Scala in Milan, Barbican Hall in London, Salle Gaveau and Cité de la Musique in Paris, Herkules Saal in Munich, Teatro Colón in Buenos Aires, Victoria Hall in Geneva, Tonhalle in Zurich, Auditorio Nacional in Madrid, Gewandhaus in Leipzig. Among the many orchestras he has performed with the London Philharmonic, the BBC Symphony, the Dutch Radio Orchestra, the Budapest Symphony, the Bayerischer Rundfunk Orchestra, the WDR Symphony Cologne, the NDR Symphony Hamburg, the Deutsche-Symphonie Berlin, the SWF Symphony Baden-Baden, the SDF Symphony Stuttgart, the Swiss Philharmonic, the Nice Philharmonic, the Buenos Aires Philharmonic, the Malaga Philharmonic, the Accademia di Santa Cecilia Orchestra in Rome, the RAI National Symphony, the Orquesta Nacional Española, the Orquesta de la Comunidad de Madrid, the Orquestra Sinfónica Portuguesa, etc. He is a regular guest at many international festivals, including Maggio Musicale Fiorentino, Venice Biennale, Berliner Festwochen, Holland Festival, Wien Modern, Music Biennale in Zagreb, Festival d’Automne in Paris, Penderecki Festival in Warsaw, Donaueschinger Musiktage, Takefu International Festival (Japan), Paiz Festival in Antigua (Guatemala), Penderecki Days in Yerevan (Armenia). Besides cuntless radio and television recordings with several European and American networks, he has recorded for many labels: EMI, Etcetera, Arts, Accord, Brilliant, Naxos, Warner, Col Legno, BMG, Dynamic, Koch, Musikstrasse, etc. 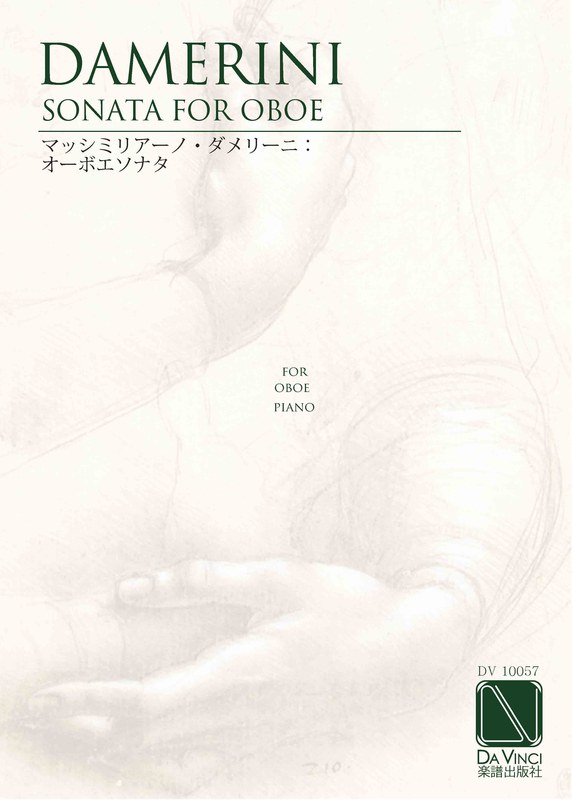 Of the many composers who have written especially for him: Ambrosini, Di Bari, Donatoni, Fellegara, Ferneyhough, Gaslini, Gentilucci, Landini, Mosca, Porena, Sciarrino, Skrzypczak, Sotelo, Tanaka, Vacchi, etc. He is often invited as a member of jury to many important International Piano Competitions and delivers piano and chamber music masterclass all over the world. As a composer, his works had been performed in many festivals and concert seasons and published by Raitrade and Edipan. Nicholas Kenyon, in a review in The Times, wrote of his complete command. Elliott Carter in New York in 1990 said: A concert given by him is an unforgettable experience. The Süddeutsches Zeitung, after his recital in Munich in 1997, wrote: Damerini is one of three greatest Italian pianists of our time, together with Benedetti-Michelangeli and Pollini. In 1992 he was awarded the prestigious Abbiati Prize by the Italian Critics Association as Soloist of the Year.